Every manufacturer make defective products, but VigorSpace deliver only good ones. With our manufacturing experiences and the confidence of the workmanship and material selection, VigorSpace offer LIMITED 10 YEARS WARRANTY for each window and door, from the very day they are delivered. VigorSpace provide the best possible warranties as below scope. a. Demage caused by accident, misuse, transport, installation or any external cause. b. Failure to install, use and operate the product in a way that is not in accordance with the manufacturer’s instructions, reasonable building practice, relevant building standards or a use for which the product has not been designed or recommended. c. Product related service work carried out by other than professionals or manufacturer authorized party. 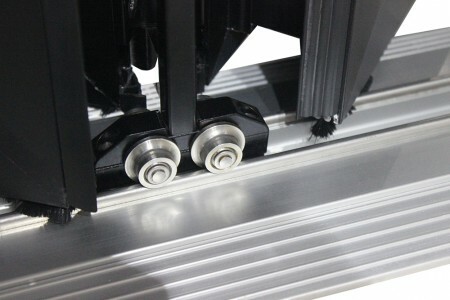 The LIMITED 10 YEARS WARRANTY offered by VigorSpace starts from the day that the products are took over by the carrier. VigorSpace will issue warranty document for the purshaced product if purchaser request. Issuing or not will not change the right that the purchaser have on the warranty. VigorSpace will provide necessary solution and assist to purchaser if any circumstance within warranty scope. Pruchaser should provide necessary cooperations.